For most people the thought of eating out is a treat – delicious food, no cooking, great company… What could be better? But if you’re taking phentermine and trying to stick to a healthy eating plan, the prospect of counting calories from a menu full of dieting disasters can prove nightmarish. Even though phentermine helps suppress appetite and control cravings, it can still be hard to choose something healthy off your favorite restaurant’s menu. So, here we’ll share some tips to avoid overeating when you dine out while on phentermine, and suggest some healthier choices at different types of restaurants. The most important part of dining out while dieting is establishing a plan ahead of time. Most of us make worse choices under pressure, so take away that added stress by thinking about the meal ahead of time. Check out local menus to find a restaurant with healthy options, make a plan for how you’ll order and anticipate sharing a plate or bringing home some leftovers! When you decide to go out for a special meal, try to choose a restaurant that offers appealing, lighter options like green salads, broth-based soups, grilled/baked meats & fish, or vegetable-based dishes. If you can’t choose the restaurant, do a quick search online for the menu. Many chains offer their full menu (plus nutrition information!) online if you look. However, smaller/local restaurants do not always offer this same convenience. If the menu isn’t available or you don’t know the name of the restaurant you’re headed to, try to find out what type of food will be available and research healthier options within that cuisine. Don’t be afraid to ask your server for menu modifications. This is an easy way to save hundreds of calories while eating out on phentermine! Many restaurants will readily accommodate menu requests, so it never hurts to ask! Worst case scenario: they tell you “no” and then you can select another, healthier ‘as-is’ option. Regardless of how healthy your meal is, always keep potion sizes in mind. While an appetizer and side salad may be enough to satisfy you, a full main dish could be too much. If you are eating out with friends who’re also trying to eat healthy, order fewer main meals or select a couple of appetizers to share between the group. You’ll probably end-up eating less, but still feel like you’ve indulged. It’s the best of both worlds! Not eating with anyone that wants to share? Ask the waiter to box-up half of your meal as soon as it arrives. This will minimize the temptation to clear your whole plate, and help you avoid mindlessly picking at the food after you’re already full. The best part? You know you’ll have that same delicious meal again for lunch or dinner tomorrow! Finally, eating out should be a special treat while taking phentermine (and in general). The average American eats out 4.5 times per week, and the average household spent $3000 eating out in 2015. This is troublesome because studies shows that we eat more calories, sodium and sugar when we eat out or order take out. While dining out is a fun and exciting treat, it should be just that – a treat. If you eat out more than a couple of times per week, consider cooking more meals at home. In the end, cooking and eating at home will help save your wallet and your waistline. Some types of restaurants are healthier than others, but there is sure to be something on every menu that’s healthier than the others when you dine out while on phentermine. Wondering how to identify those more nutritious, leaner options? Check out the suggestions below! Go for a simple hamburger without the cheese, with extra lettuce and tomatoes. Skip the fries, shakes and sodas, or order them in the smallest size. Prepared salads can be a healthy option, but beware of diet-destroying traps like high-calorie dressings (e.g. Caesar, ranch, blue cheese), fatty toppings (e.g. cheese) and unhealthy meats (e.g. fried chicken). Make sure to double-check the nutrition information on your favorite fast food salad if it’s quickly becoming your “go to” meal… You may be surprised at what you find! Many pizzerias offer salads, in addition to pizza and calzones. Unlike the highly-processed salads found in many fast food chains, these green dishes can prove healthy and tasty meal options – especially if you find a garden salad or house salad that’s mostly vegetables. Still, remember to order dressings on the side. If you’re craving pizza, share a thin crust vegetable pizza with a friend and fill up on a side salad. Pasta options in Italian restaurants are often laden with cheese and creamy sauces, so it’s best to avoid these when you dine out while on phentermine. Try starting your meal with some broth-based soup (e.g. wonton soup), which will help fill you up and averages just one gram of fat and 107 calories per bowl. For your main, choose rice over noodles. While brown rice is best, white steamed rice is still much better than fried rice. Go for ‘Jum’ and ‘Chu’ dishes, which means the food has been poached or broiled. ‘Shu’ dishes, on the other hand, should be avoided as they have been barbecued in a rich sauce. Oyster, hoisin and hot mustard sauces are some of the lower-calorie sauces. Still, if possible, order your sauce on the side. Regardless of your flavor preference, keep an eye on the sodium content of the sauces. Many Asian success contain a lot of salt, which can make you retain water weight. Traditional stir-fried dishes are not ideal because they’re cooked in oil. However, if there is not much choice then opt for a vegetable stir-fry and transfer vegetables from the dish onto your rice individually and leave oily sauce in the dish. Alternatively, ask if you can order the dish steamed instead of fried. Tandoori Chicken and Chicken Tikka Masala are relatively healthy options, at around 260 calories and 13 grams of fat each. However, avoid Chicken Biryani which contains a whopping 35 grams of fat and 850 calories. Vegetable dishes are even better; choose from spicy Chana Masala which is high in protein, potato-based Aloo Curry, Vegetable Korma Curry, or Baingan Bharta, made from baked eggplant with onions, tomatoes, and spices. Chole dishes like Pindi Chole, or Dal dishes like Arhar Dal, are a healthier option since they are made with beans, chickpeas or lentils. If you see it on the menu, try a Sambar Dal, which is full of vegetables, low in calories and high in protein and fiber. Share rice portions with a friend and choose Roti over Naan bread (since it’s made from whole wheat flour). First priority: the chip basket. Avoid nachos or any dips like sour cream or cheese. Instead, opt for salsa: it’s fat-free, low calorie, and makes a great topping for a salad. Guacamole is also a good choice since its full of healthy fats, but a small amount of it can quickly add up to your calorie and fat intake for the day. Regardless of your sauce choice, limit yourself to a handful or two of chips since these fried triangles of tortilla pack a major caloric punch. Order a side dish of stewed pinto beans rather than usual refried beans. You’ll get a similar flavor without the fat, plus beans are high in fiber and protein. Healthier meal choices in a Mexican restaurant are: bean burritos, chicken fajitas, or any other grilled chicken dish with onions and peppers. In general, skip the cheese and when in doubt, choose soft tortillas, which are baked rather than fried. 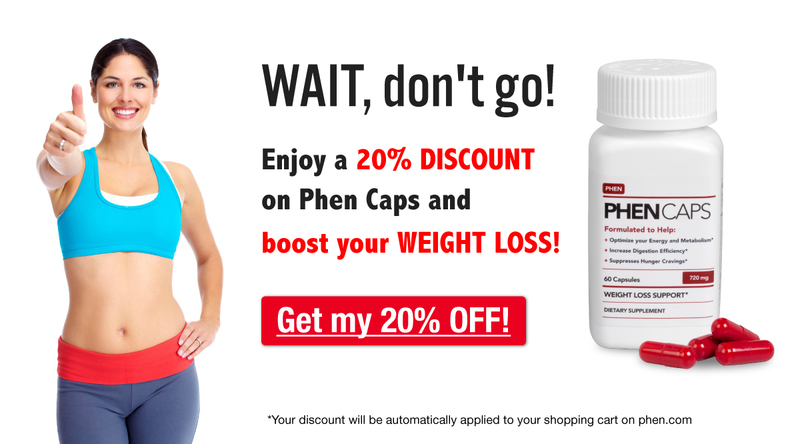 Hopefully you now feel more confident to take on even the unhealthiest of restaurant food and make informed choices about what is good for you when you dine out while on phentermine! We would love to hear all about your restaurant experiences, or if you have any tips you would like to share, so please feel free to comment below! This post was originally published on August 27, 2013. It was updated and expanded on April 17, 2018.